Yoga for Coward. Authors and dramatists are always on the lookout for new themes around which to write books or plays. 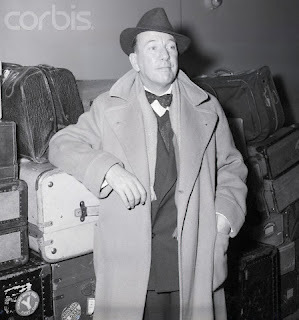 Probably Noel Coward, British playwright, found such a theme aboard the SS Queen Mary en route from London to New York and thence to his resort home in Jamaica, B.W.I. On the same boat as Coward came Hati Yogi L.S. Rao who can eat glass, walk on fire and water, and drink poison without harm to himself...Meantime, Coward spent a good deal of boat time with the Yogi, picking his brain, no doubt for his next play.